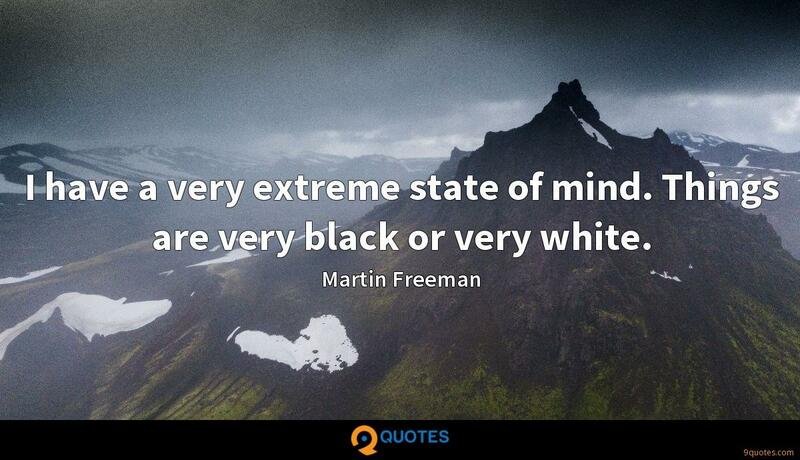 Martin Freeman Quotes. 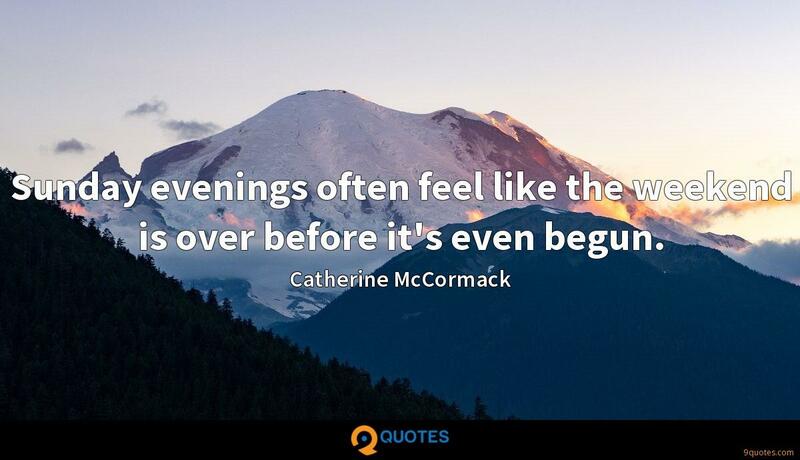 9quotes.com, 2018. http://www.9quotes.com/quote/martin-freeman-58025, accessed 25 April, 2019. I was that kind of kid that was going to the movies every weekend, I couldn't get enough of the movies, and now I get to make them. So I kind of have a one-track mind. I saw an ad for an expensive car and got so excited about it, I called the dealer. 'How are those new cars?' I asked. 'They're fine,' he said. I thought he'd offer to let me drive it for a weekend. He didn't. I expected a salesman to call. No one did. I didn't buy the car. 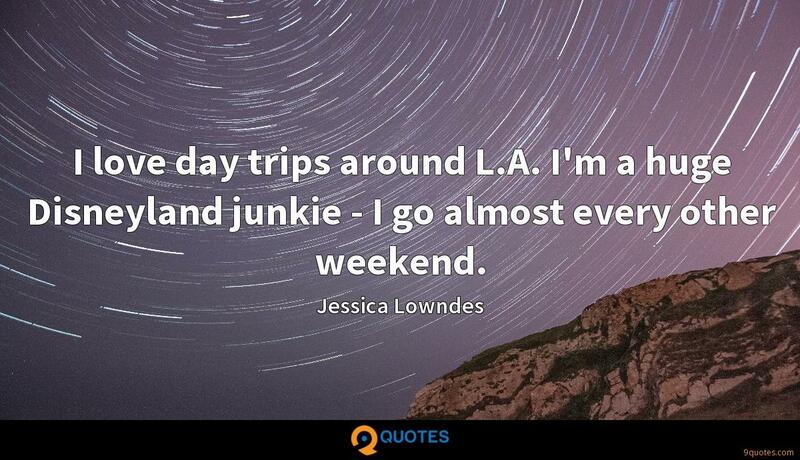 I love day trips around L.A. I'm a huge Disneyland junkie - I go almost every other weekend. I have a very extreme state of mind. Things are very black or very white. If you want your film to be instantly green-lit, your first approach is not to go to a relatively unknown English actor. They're not going to throw millions of dollars at you for that. 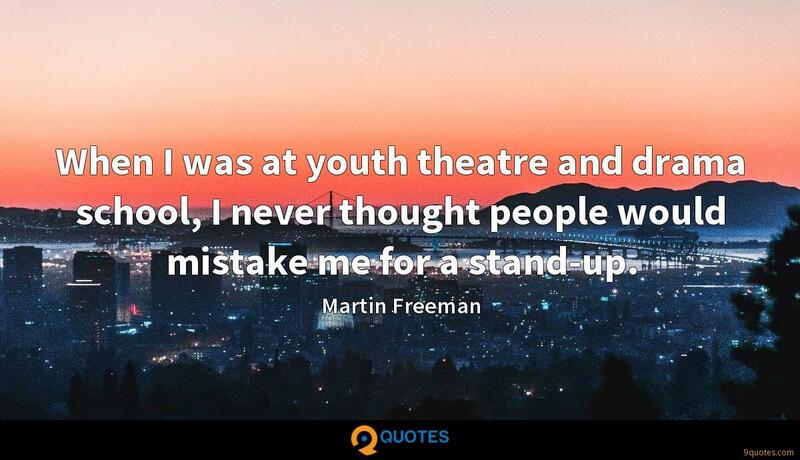 When I was at youth theatre and drama school, I never thought people would mistake me for a stand-up. I'm very proud of 'The Office' - it was one of the best things I'll ever do. But you do become a slight victim of your own success in the sense that people think that's you, that's what you are, and that's what you'll play forever. 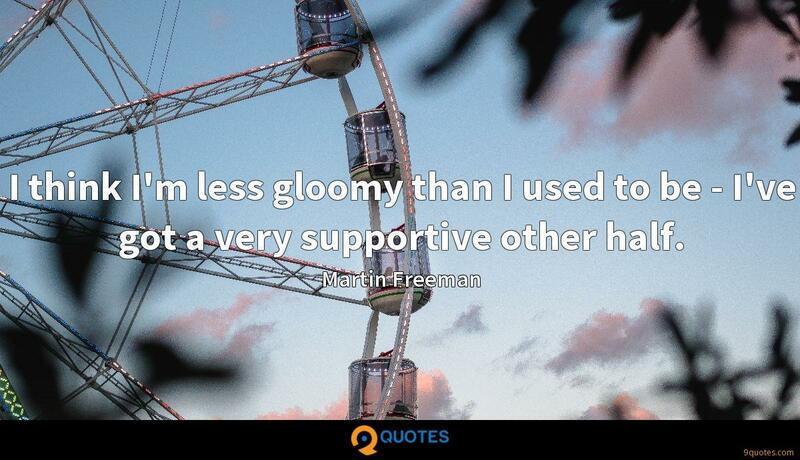 I think I'm less gloomy than I used to be - I've got a very supportive other half.